VATICAN CITY (CNS) — Although Coptic Orthodox Christians and Catholics have much to do to achieve eucharistic Communion, they still can witness together to the importance of holiness and the dignity of human life, Pope Francis said. 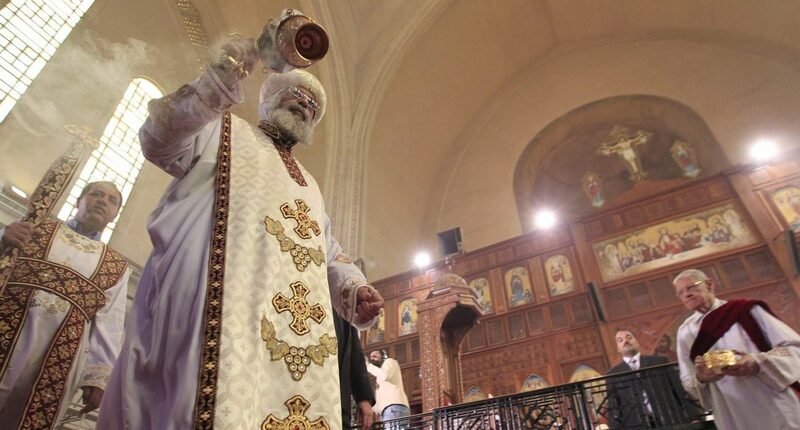 “In the face of many contemporary challenges, Copts and Catholics are called to offer a common response founded upon the Gospel,” Pope Francis said in a message to Coptic Pope Tawadros II. The pope sent a message May 10 to the Coptic patriarch to mark the “day of friendship” between the Coptic Orthodox and Catholic churches. “In this renewed spirit of friendship, the Lord helps us to see that the bond uniting us is born of the same call and mission we received from the Father on the day of our baptism,” the pope said. Pope Francis expressed his appreciation for the Coptic patriarch’s commitment to dialogue between the Catholic Church and the Oriental Orthodox churches. In the dialogue, he said, members of both churches can give a shared witness to the sanctity of human life, family life and creation. If Copts and Catholics “learn to bear each other’s burdens and to exchange the rich patrimony of our respective traditions, then we will see more clearly that what unites us is greater than what divides us,” the pope said. “May God our Father grant peace and consolation to all those who suffer, and inspire the international community to respond wisely and justly to such unprecedented violence,” the pope wrote.